I wrote a guest post over at Kimberly's blog, Sunny State of Mind, so check it out today! If you're feeling stressed on this Friday, it will especially help you out as the topic is on "Tips to Help You Stress Less." I know I have a lot of work to squeeze in before a three day weekend, so I am going to listen to my own advice. Oh and yesterday was my one year anniversary of meditating, so it's only appropriate that one of the things I wrote about in my post for Kimberly is meditation. If you've clicked over from Kimberly's blog, please say hi and introduce yourself! Here's my photo of fruit taken this morning before I jetted off to work. 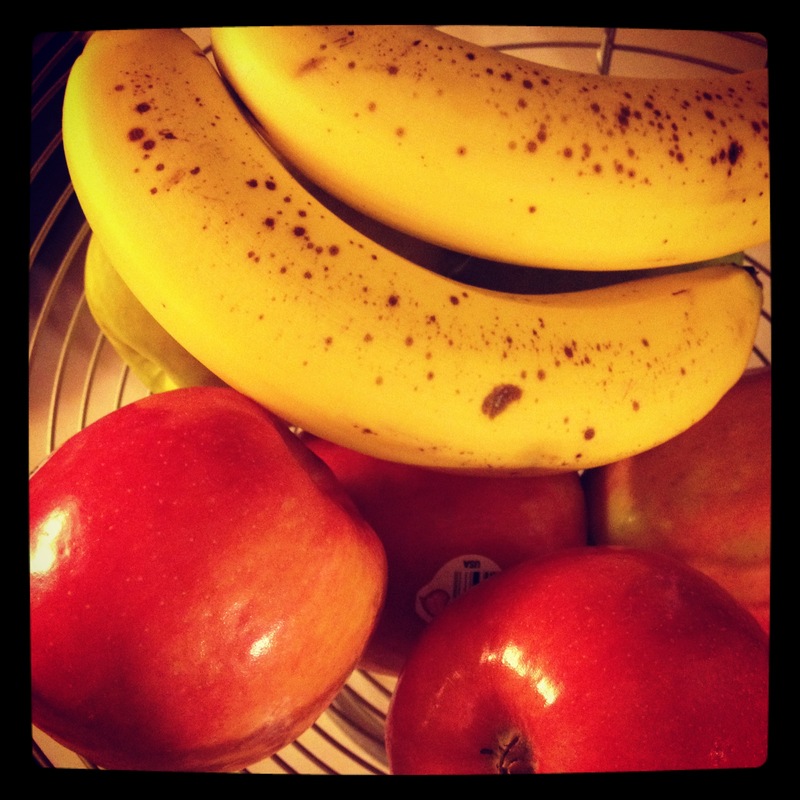 Our fruit bowl is typically full of pink lady apples my fav) and bananas (which I often have to force myself to eat). What's in your fruit bowl? Great guest post! I loved your necklace in the picture.